Franz Sales Kandler (1792–1831), an enthusiastic Viennese music scholar, wrote the essay Cenni storico-critici in memory and in honor of the composer Johann Adolf Hasse (1699–1783). 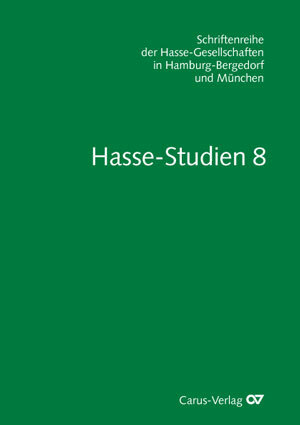 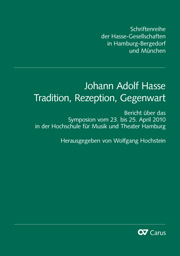 In this, he recommended Hasse – who was outstandingly successful in his day – to younger generations of composers as a role model, despite the social and stylistic changes which had taken place in the intervening years. 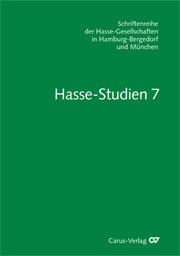 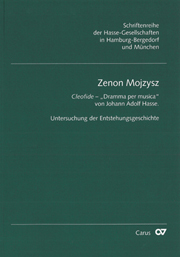 The original Italian text is published here for the first time with a German translation.